Free Download 1912: Titanic Mystery Game or Play Free Full Game Online! Find a hidden bomb aboard the new cruise ship, the Titanic II, and in the process help solve a 100 year-old Titanic mystery! In order to get advantaged of playing 1912: Titanic Mystery full unlimiteg game version you must register the game. A bomb is aboard the Titanic II on its maiden voyage, launched on the one-hundredth anniversary of the fatal Atlantic crossing. Find the bomb and save the ship and all aboard. Interact with different characters, discovering hidden diary entries and a century old mystery from the original Titanic. This multifaceted storyline offers a tale of lost love and reunion, challenging puzzles, and imagery lovingly recreated from original photographs! Can You Find The Bomb Before Time Runs Out? Play Relaxed Or Timed Modes! A Multitude Of Fun And Puzzling Mini-Games! 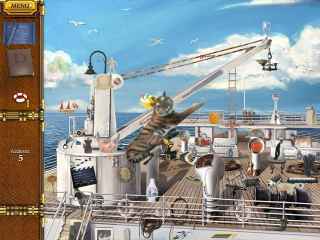 Click here to play full version of 1912: Titanic Mystery game online! 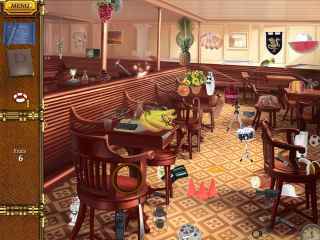 Travel back in time and save the ones you love in this Hidden-Object Adventure game! Switch between 1912 and the modern day as you play in 2 time periods. After using a secret alias to board the Titanic, things go terribly wrong and you find yourself trapped among the wreckage. In order to earn freedom from your watery tomb you must appease your captor by re-writing history and freeing the spirits trapped aboard the 'unsinkable' luxury liner as well as discover why fate has chosen this destiny for you.